In 1918 the Loyal Order of Moose and in 1919 the Women of the Moose came together to start their quest of caring for children in need. Hence, our dedication to Mooseheart, the Child City, began. Later came the goal of caring for seniors at Moosehaven, the City of Contentment. Mooseheart and Moosehaven are the core of our organization. Beginning in 1922 Moose Lodge 1572 and the Women of the Moose Chapter 311 originally met at the corner of Strongs Avenue and Park Street now the site of Skipp's Bowling Center. Then, in 1950, they relocated to the Arctic Locker building, using the upstairs for meeting and activities. Through donations from Norm Meshak and Bill Zenoff in 1982, we moved into a new building at 1025 2nd Street North, the location of our current Lodge. 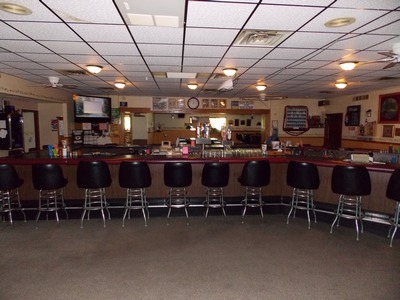 The lodge saw 2 expansions over its first 15 years including a large capacity banquet/meeting facility, a secondary bar as well as horseshoe pits and garage. Through the years, although fund raisers have come and gone, and new events such as the King Vets Dinners continue, the old traditions such as Moose Fests, kids' events and charitable fund raisers remain steadfast. 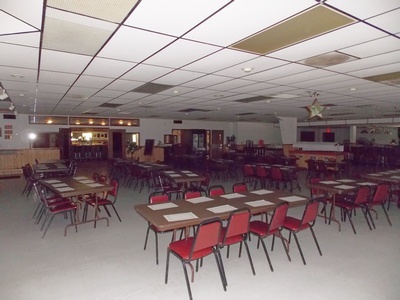 In the mid-nineties the Moose Lodge was granted Family Center status due to its emphasis on family and children’s activities. Later, in a 3rd expansion at the turn of the millennia, the Lodge and Chapter combined their efforts to increase the usable space in the social quarters and Lodge hall. The men and women combined to create a pool and kid’s area as well as a deck and dedicated banquet entrance with current ADA facilities. The Moose Legion Committee and WOTM (Women of the Moose) recently continued that project by adding an enclosed and open space deck in 2011. The building you see, and we are so proud of, is a manifestation of innumerable hours of work and cooperation. Our Lodge will continue to evolve and improve. Look at our Membership application.